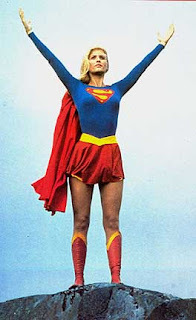 Helen Slater may appear on the next season of Smallville when it premieres in September. Check out this interview for more. She's also pitching a Supergirl story idea to DC comics. Look for Dean Cain, the former star of Lois & Clark:The New Adventures of Superman from the 90s to show up as well. 2) Justice League movie before Superman Returns sequel? Some sources claim that the 'Justice League' film is more of a priority for WB than the sequel to 'Superman,' so don’t be surprised if you see Brandon Routh in 'Justice League' first. And here's a last bit of news... the biggest rumor is that one of the superheroes in 'Justice League' wouldn’t see a sequel. Yup, WB is planning a death. 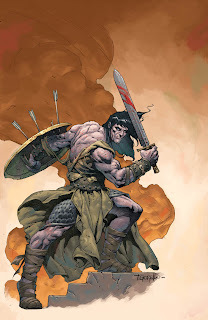 Conan the Cimmerian #1, the first issue of an all new series will launch in May 2008. The new series will be written by current Conan writer Tim Truman, illustrated by Tomas Giorello, with covers by Cary Nord. FCBD 2008 will fall on Saturday, May 3rd. Watch future posts for more info as its available!